PSA: What is Wheel Offset? How does it affect my wheels? When ordering wheels and tires, there’s a lot to consider. Budget, weather/local driving conditions, driving style, ride quality, road noise and tire life are all key factors in choosing wheels and tires. Though you may be familiar with basics like tire size, wheel width and bolt pattern, there are other specs to consider as well, most notably wheel OFFSET. At its simplest, the wheel offset, represented in millimeters (mm), is the distance between the centerline of the wheel and the face of the wheel hub. Offset can be positive or negative, depending on your application, type of brakes, whether you’re FWD, AWD or RWD and other factors. Ordering wheels in the correct offset is key, as if the offset is not correct, handling can be affected negatively, rubbing can occur or god forbid, the brake caliper may not clear the wheels. Fortunately, there are only three types of offset. Positive Offset, Zero Offset, and Negative Offset. Positive Vs Zero Vs Negative Offsets. Ideally, a wheel should be at zero offset, as this is when the hub mounting face is even with the centerline of the wheel. However, much of the time this isn’t the case. 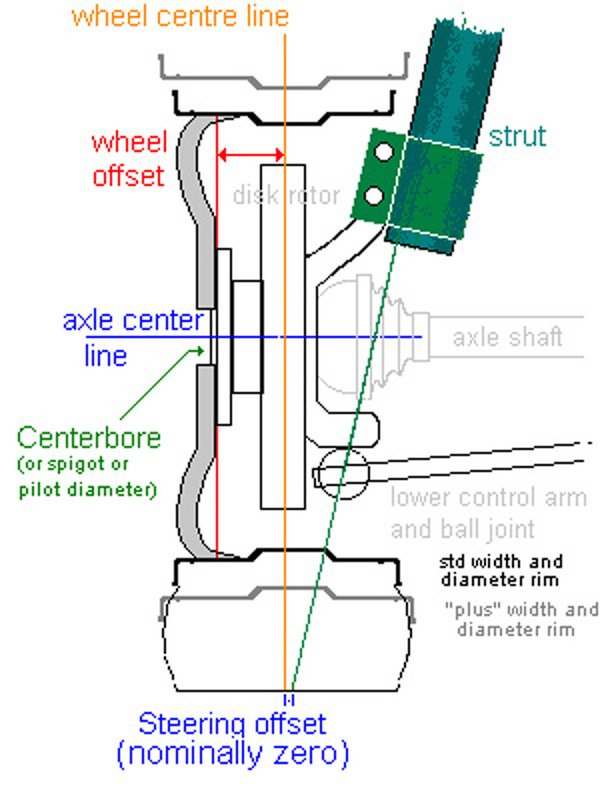 A positive offset moves the centerline of the wheel further outward towards the outer edge of the wheels, as is common on front-wheel-drive vehicles and some newer RWD vehicles. For instance, nearly all Volvo models are Positive-Offset designs. In the case of a negative offset application, the hub face is recessed further inboard towards the center of the car. 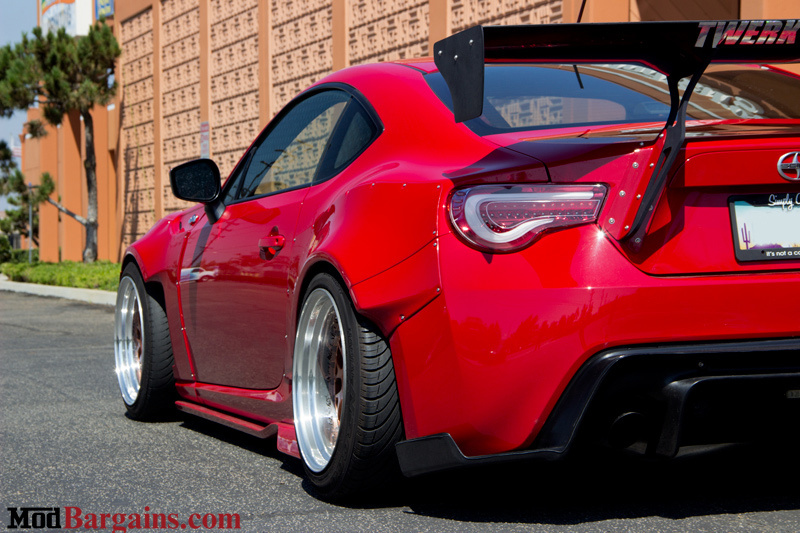 Deep dish and deep concave wheels are typically a negative offset. 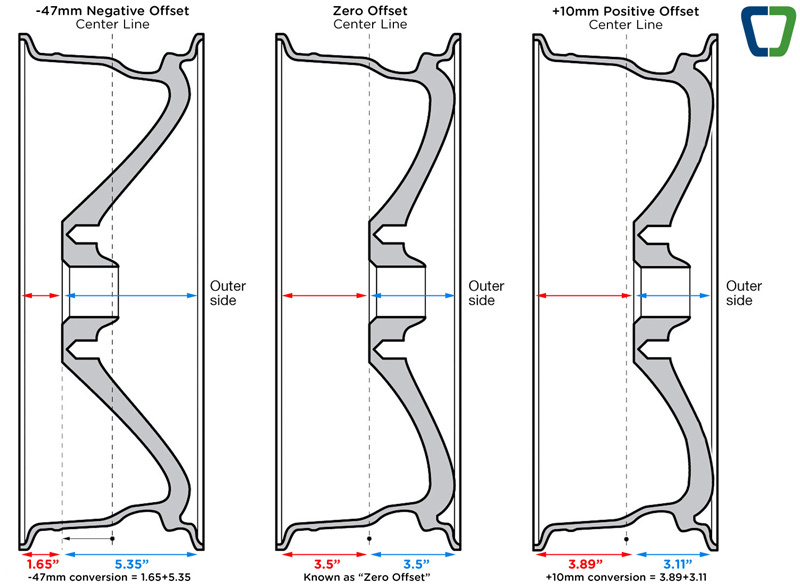 What does wheel offset do? 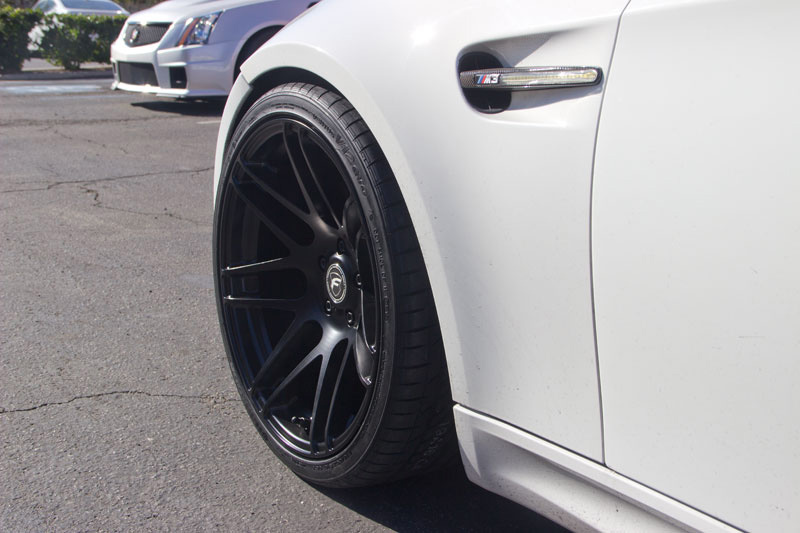 Understanding your wheel offsets will allow you to run more aggressive wheel/tire combinations that push the limits of fitment as far as they can go without rubbing or clearance issues. 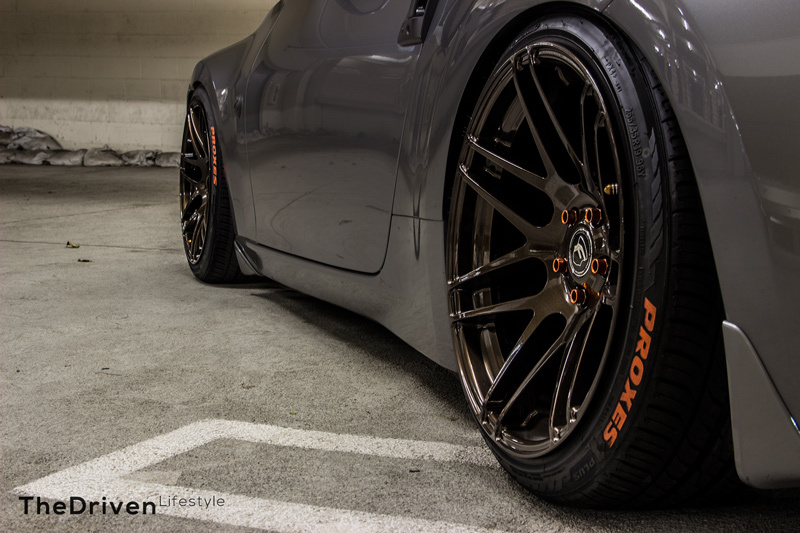 Check out a few examples of how offset can affect fitment in the photos below. 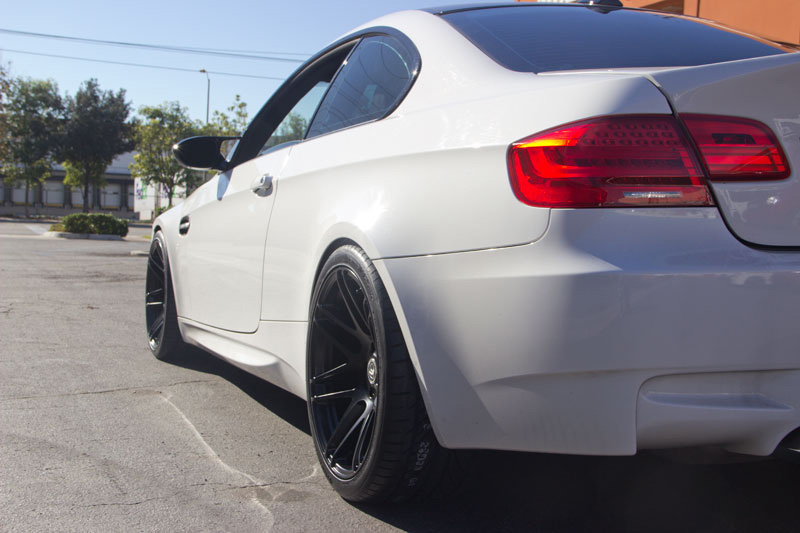 As we said earlier, if you’re not sure about whether or not a specific offset is right for you, ModBargains team of Modification Experts are standing by to answer your questions and help you choose the best option for your vehicle – chat online at ModBargains.com or just call 714-582-3330. One final note here is a very handy and useful wheel offset/tire size calculator tool on www.willtheyfit.com – while not the be-all-end-all tool for fitment, this is a great little piece of code for reference.